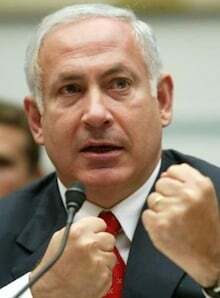 In a speech at Police National Headquarters to tout the war, Israeli Prime Minister Benjamin Netanyahu insisted the war dealt a decisive blow to factions in the Gaza Strip, while insisting Israel is “prepared” to start a new attack at any time. Defense Minister Ehud Barak seemed to take a similar position, saying in comments today that Israel might get into another fight with Hamas “in the near future,” while insisting the goals were all achieved. Army Chief of Staff Benny Gantz also said that all of the objectives of the war were already accomplished, which raises both the question of what the goals actually were, and if they are all achieved why Netanyahu is talking up another war just a day later.